The country is certainly torn between heavy rain, hailstorms, droughts and heat waves at the same time. On Wednesday night, at least 45 people were killed and dozens of others injured in severe thunderstorm and rains that lashed across four districts of western Uttar Pradesh. This high-speed dust storm killed 109 in Rajasthan and UP in the last two days. In Chandigarh, at least two people died and many injured as strong surface winds of 70 kmph and thundershowers hit most parts of the region. Less than a month ago, on April 12, unusually heavy rains and thunderstorms claimed 42 lives in western Uttar Pradesh and eastern Rajasthan. More than 200 people were reportedly injured. April brought a spell of devastating rains that threatened rabi crop, caused loss of lives and damage to properties across north and northwest India. 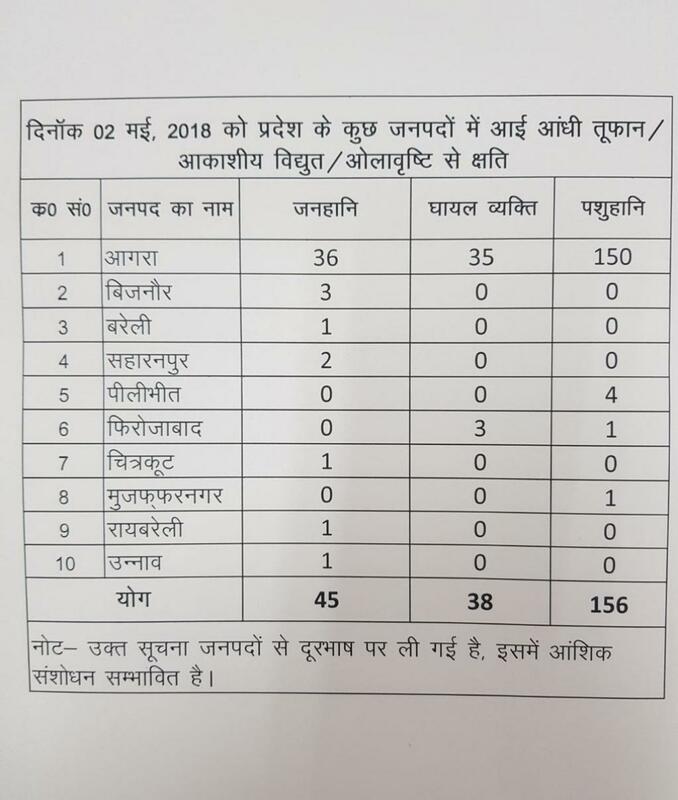 Arguably, the most devastating spell of pre-monsoon showers hit eastern Rajasthan and Haryana on April 11, when Alwar, Bharatpur and Bhiwani received 40mm, 15mm and 14mm of rains respectively. While this may not seem much, these amounts account for nearly 900 per cent, 400 per cent and 250 per cent of the normal rain received by these districts in April. In fact, intense rainfall also wreaked havoc in Himachal Pradesh early April where around 15-20 animals perished in a cloudburst incident in Shimla district. Heavy rain coupled with hailstorm caused huge loss to the standing wheat crop in the lower regions and apple crop in Shimla district. According to a recent study on extreme rainfall events, precipitation extremes in south and central India are more sensitive to warming than north India, which means that south and central India may witness more rainfall extremes in response to climate warming. Earlier in February, hailstorms, unseasonal rains damaged 4.76 lakh hectares of crop in Punjab, Chhattisgarh, Haryana, Maharashtra, Uttar Pradesh, Madhya Pradesh, Rajasthan, Telangana and Karnataka. Around 300,000 hectares of crops like jowar, gram, wheat and horticulture crops like orange, grapes, bananas and vegetables were damaged in Maharashtra alone. The most recent example of this freak weather is Andhra Pradesh. 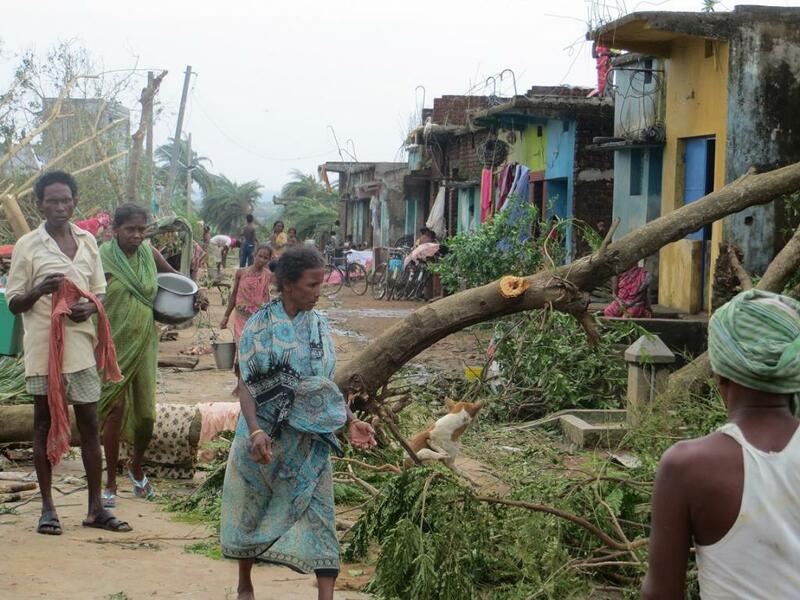 While Rayalaseema region of Andhra Pradesh sizzled at about 43 degree Celsius on May 1, with seven people dying due to sunstroke, at least 11 people were killed in several parts of north coastal Andhra Pradesh due to heavy downpour accompanied by lightning. Since the onset of summer, heat wave has claimed 15 lives in Andhra Pradesh.